Congratulations to the Whites for winning the 2019 Memorial Trophy, winning score 10 – 2 against Springhouse. The Whites are also set for a move from the 2nd league division up to the 1st division due to their continued successes throughout this years matches. Well done to all members of the White team, well deserved. Another fantastic week of bowls and entertainment at Gunton Hall arranged by Alan & Tony of SEAXE SMBC. A clean sweep for Willows members in the pairs competition with Chris & Doreen the winners and Carol & Bob coming runners up. Chris, Michael, Elizabeth and Doreen winners of the plate. A fantastic time was had by all clubs and everyone enjoyed themselves. Some of the matches were so close and some of the best bowling some of us have seen for a while. Well done to everyone who took part in this event, it was nice meeting old friends and making new ones. Hope to see you all at Gunton this coming November. Due to a large number of members attending the Gunton Hall Holiday that week, the club will be open only on Tuesday 19th March but closed on the Thursday 21st. Has certainly been busy for Willows members of late. The league matches are going well, Whites currently sitting at 2nd position in their league table. Greens are working hard to get further up the table this season. Greens sadly this year were knocked out of the memorial trophy after a enjoyable close match against Outwood Common. 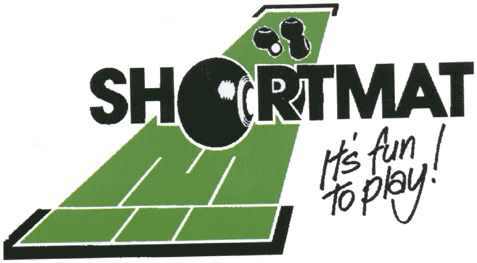 Some members competed at the recent Short Mat Players Tours Taylor Bowls World Master Pairs and Fours. Six members recently played for County A & Premiers against Kent/Suffolk. Another enjoyable day was had at the Friends of Essex Open Triples. Not forgetting the recent Gunton Hall bowls holiday. Please see the Bowls Holiday page for the latest confirmed November 2019 Gunton Hall Holiday – Great price from £169 per person Book quick! – All singles for the September 2019 Lakeside holiday have now been sold. Christmas Closure – Willows last night of bowls will be Tuesday 18th December and will resume on Tuesday 8th January 2019. THE SESSIONS ARE OF A TWO HOUR DURATION, COST £3 PER PERSON, AND INCLUDE TEA/COFFEE AND BISCUITS. FOR FURTHER INFORMATION OF AVAILABILITY PLEASE CALL ANN ON 07787 521420. Good afternoon, please accept my apologies for the lack of updates recently. Hopefully now back on track to keep regular updates. The league team pages has been updated in relation to upcoming match dates, more dates to be added once finalised by the team captains. The Bowls Holidays page has a new holiday added, this being Lakeside Coastal Village in September 2019….book quick as the holidays are always very popular. Willows now have seven members playing for county this season. Don’t forget information of any community/charity events are welcome, to added to the social event page. Please see the ‘Christmas Hamper’ list on the notice board at the club. Small packets/jars as last year please. 14 wonderful hampers were made up last year. Good evening, just to inform you that as we will soon be entering the 2018/2019 League season, the results for each match undertaken last season by both White & Green teams can be found on the Club Info & Downloads page. The league team pages will be updated within the next few days following the SEESMBL league meeting on Tuesday 04/09/18 as well as information of the draw for the Memorial Cup.